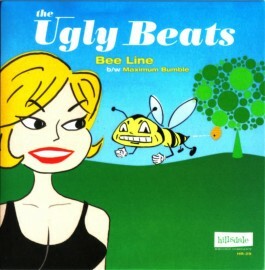 The Ugly Beats "Bee Line" b/w "Maximum Bumble"
Side A is a vocal stomper. Side B is a fuzzed out, buzzed out instrumental. Together, they're unbeatable! Yellow vinyl - beautiful thick mat sleeve.